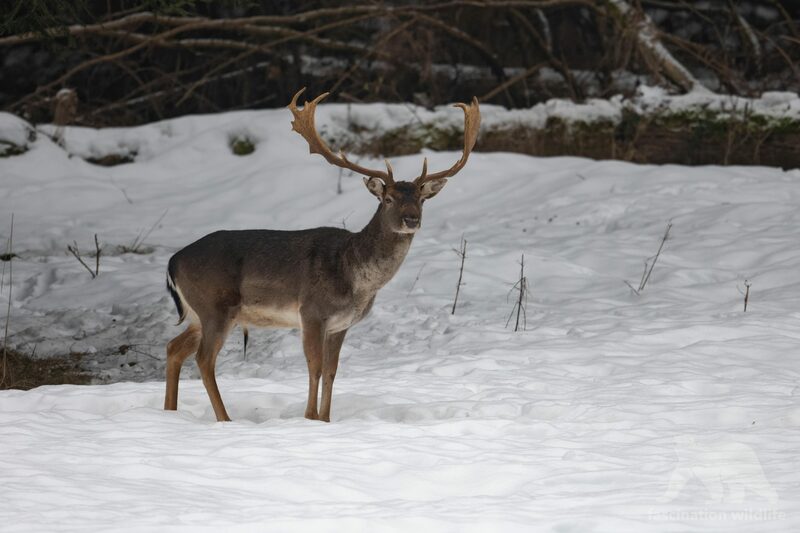 This handsome fallow deer buck i captured one winter morning in the forests just south of Munich. After waiting for hours at temperatures well below -5°C i almost quit but something told me to wait a couple more minutes. So i stayed and i was rewarded with that sight. The fallow deer here is very shy and not very approachable, so waiting patiently is the best way to come to a good picture opportunity. For more wildlife pictures of Germany click here.